Each of these website strategies is connected, and when they’re used properly, they’ll strengthen your brand and empower you to grow your business. Where’s the first place you look when you need information? You whip out your phone, open your laptop or start scrolling on your tablet. That’s what your prospective customers do, too. What is Website Traffic, Anyway? The term website traffic refers to the number of people who visit your site. It’s just one metric of your success, though – you need to attract your ideal customer and provide the user experience, or U/X, that he or she expects. Organic traffic refers to visitors who come to your site because they found you in the search engine results pages, or SERPs. Paid traffic refers to visitors who clicked an ad on Google or one of your social media platforms. An efficient and effective website brings in organic traffic. 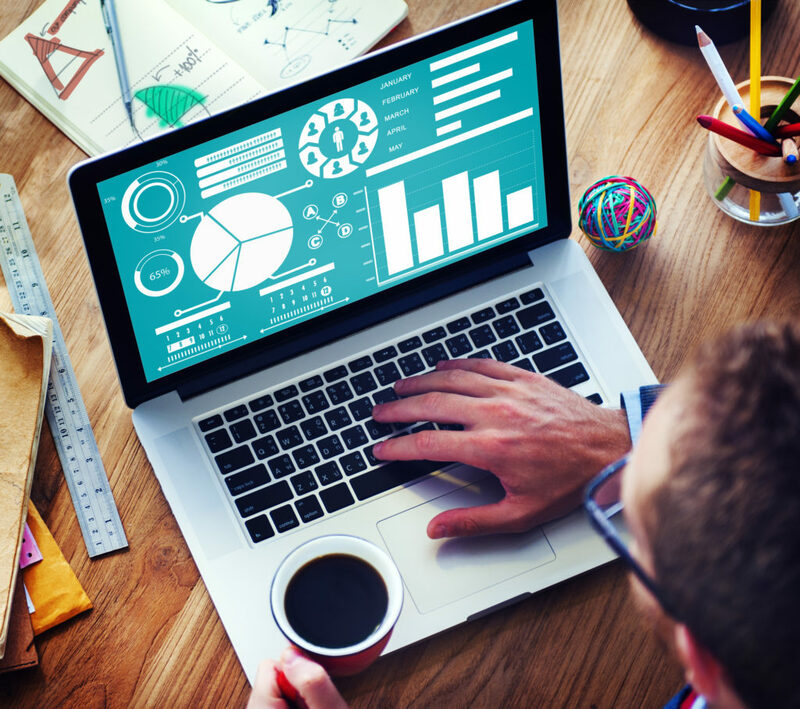 You can boost your site’s traffic by employing these five tried-and-true website strategies. Even in this wildly connected era, nearly 50% of all businesses still don’t have websites. If your site is up and running, you’re ahead of at least half of your competitors – and if it’s good, you’re ahead of even more. The majority of online searches take place on smartphones and tablets, so Google uses a mobile-first index to evaluate whether a site is worth delivering to people searching on mobile devices. If a site isn’t responsive, or if it doesn’t work properly on a phone or tablet, Google (and other search engines) are far less likely to deliver it to searchers using one of those devices. When a new visitor comes to your site, you have a window that’s only open for 3 to 5 seconds. Your site has to load and look appealing enough for users to stick around within that window – otherwise, that user will click the “Back” button and return to the search results. When a visitor quickly leaves, Google determines that your site didn’t fulfill that user’s needs. With a high enough bounce rate (which is a topic for another day! ), your rankings will drop… and Google will become less likely to deliver your website to searchers. Getting users to your site is hard enough. Letting them leave because you weren’t prepared is like flushing your marketing funds down the drain. Pro tip: Older sites can be tough to optimize for mobile, so sometimes it’s best (read: easiest and most cost-effective) to start from scratch. 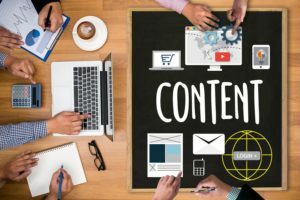 Strong content is the cornerstone of every successful digital marketing strategy. Good content that people can “Like” and share on Facebook, Twitter, Pinterest and other social media platforms will bring more traffic to your site. When people search the internet for something, they’re ready to learn. It’s your job to give them the information and experience they want. They have a problem. You have the solution. Your content is the medium that connects you. It’s what search engine crawlers “read” to determine what each page on your website is about, and it’s what search engine algorithms use to rank your site among other, similar sites for usefulness. The content on your website can inform. It can inspire. It can sell. Quality content establishes trust, builds rapport and sets the tone with prospective customers. Make a list of the most frequently asked questions about your products and services. Turn everything on your list into a blog post. Link to reputable sites (those ending in .gov, .edu or .mil, or large publications such as the New York Times) to help build trust. Publish informative, useful content on a regular schedule, whether it’s every Monday at 10 a.m. or every Thursday at 1 p.m. The point is to create a schedule and stick to it so search engine crawlers and regular readers know what to expect. Pro tip: Don’t write for length. Write for quality. Get to the point quickly and succinctly. Avoid using “fluff” that doesn’t help visitors. Remember, Google is watching how long people stay on your pages and where they go next – and they’re using that information to determine how valuable your site is. Create videos that answer your customers’ questions and post them on your website. You can live-stream, create slideshows or show off product features. Share your videos on all your social media channels, and include transcripts when there’s space to do so (such as on YouTube). Always include links back to your site where viewers can learn more on the topic or about your company. Pro tip: Use subtitles on your videos, because 80 percent of people watch them with the sound off. Most of the pages on your website need a call-to-action, or CTA. 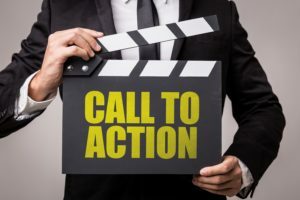 A call-to-action is a piece of content that compels readers to take a very specific action, like buying your product, signing up for updates or clicking through to another page. You’ve put a tremendous amount of effort into bringing visitors to your site and keeping them engaged, so you need a great CTA that seals the deal. Calls-to-action need to tell the reader exactly what you want them to do and provide them with an opportunity to do it. You can use inline text or a button – whatever fits best with your brand’s tone and your website’s design. Click here to get your free one-hour consultation! Get exclusive access to MarketCrest’s expert advice now by filling out the form below. Find out how affordable our services are right now! Get your free copy of our award-winning e-Book by clicking here. Increase your leads by 1500% in one week – click here to learn our secret formula! Get a free e-Book now. Identify pages on your website that need CTAs. Any page that offers a product, information or help can benefit from a call-to-action. Come up with exciting text or great verbiage for a button. Pro tip: Put a different CTA on every page and track its success. If some types, such as buttons, get more action than inline text CTAs do, make a few tweaks to perfect your strategy until your conversions increase. Opt-in email lists are extremely powerful tools in any marketing strategy. But you can’t get something for nothing. Offering your website visitors something they need – say, an e-book that gives people inside information from an industry expert (you!) or exclusive access to hot real estate listings – is the first step in cultivating your email list. For example, if you know users look to you for how-to guides or for tips on working in your industry, you already know what types of deliverables to produce. Pro tip: If you collect phone numbers when you make a sale, offer an option for people to opt into text marketing. Legally, you must ensure that people understand what they’re signing up for (this goes for email marketing, too) – and you must also provide an opportunity for people to opt out if they no longer wish to receive marketing messages from you. Social media posts drive targeted traffic right to your website. The user knows exactly what he or she is going to get after a click, and you’re uniquely positioned to deliver a great experience. The key is to meet your customers where they are and make it easy for them to engage your brand. The more frequently you share useful content, the more visible your brand becomes across these mediums. 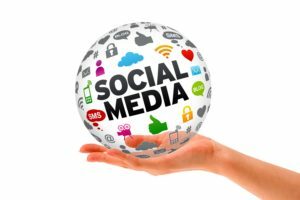 Visibility on social media sites can boost your site’s visibility in search engines, and it helps build consumer trust. Even better, some of your competitors aren’t using social media – and that makes you far more visible. Create profiles on every social media site your clients are using. Be consistent with your branding on each. Create or claim any listings on reputable websites, like Google My Business and Yelp, but avoid spammy business directories. 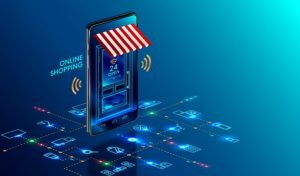 Use promotions through these websites to get people to visit your site, such as discounts and promotions available only to first-time customers. Follow strong businesses in your community. Reach out and see if anyone wants to cross promote with you. If you run a yoga studio, start offering products with a local beauty supply or organic lotion company along with packages of classes. Pro tip: Commit to a minimum number of social media posts each week, and make sure you stick to it. When someone interacts with your company by leaving a comment, reply! Share a mix of images, videos and text – and promote other businesses as well as your own. Search for your business on Google by typing in a key phrase an ordinary person would use. If you run a roofing company in Dallas, for example, type in things like roof replacement in Dallas or Dallas roof repair. What companies come up in the organic search results? Which companies are paying for ads related to your business? Make note of who’s ranking naturally and who’s paying for ad space. Calls-to-action on each page. See how they’re wording CTAs and what they’re offering in return for a customer’s email address and other contact information. Blog posts. Check to see how frequently they’re posting on their blog and see what they’re writing about. Content. Find out what type of information they’re offering readers and compare it to the information you’re sharing. Evaluate it objectively, and if theirs is more useful, step up your game. Social media buttons. Follow the icons to your competitors’ Facebook, Twitter and other social media pages to see how often they post, how much they interact with customers, and what they’re sharing. Once you’ve done a little recon, it’s time to copy what the competition is doing – and put your own twist on it to make it even better. Keep track of what the competition is doing so you can do it better. Get free tips from an expert digital marketing consultant. Pro tip: If you see something your competitors are doing that you think would work well for your own business, do it! Just make sure you track the results so you know where to focus more of your efforts. You’re busy, but you know you need to keep growing your business and helping it thrive. We get that – and we’re here to help. Check out our powerful content marketing ideas for busy business owners or skip ahead and call us for a completely free marketing consultation. We’ll walk through what you’re already doing right and show you how you can save time and money while increasing your bottom line. One simple phone call can help you get more from your marketing budget than you ever thought was possible. Call us at 469-661-1040 or fill out the form below to get the help you need today.